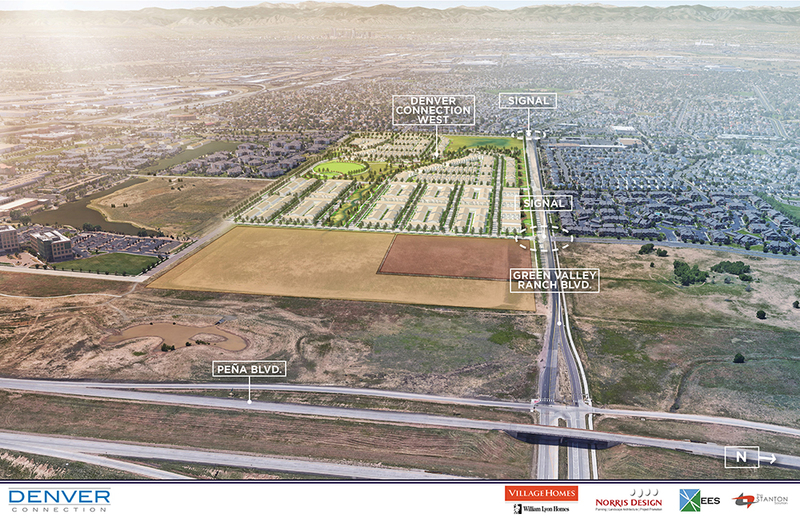 Village Homes, a proud division of William Lyon Homes, newest mixed-use Denver Community will include 698-homes at Denver Connection, located at Chambers Road and Green Valley Ranch Boulevard. 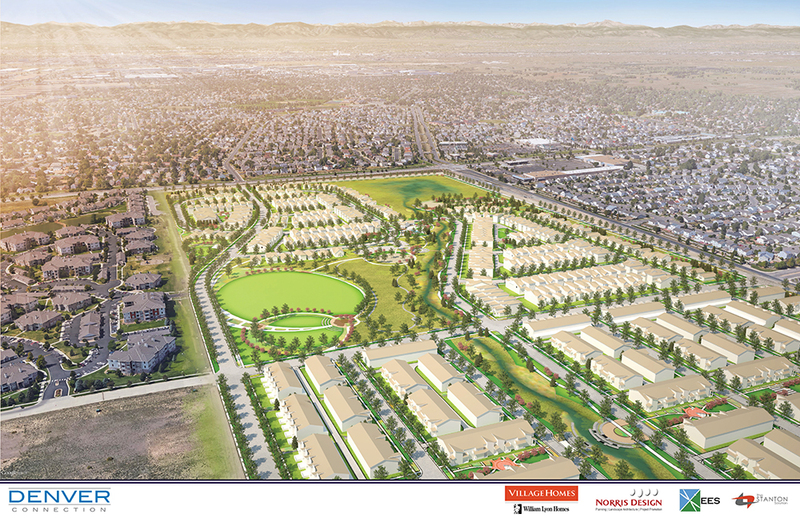 Village Homes plans to build 284 single family homes and 414 single family attached homes on the 115-acre site. The community will be characterized by “connections”—both internally and externally. 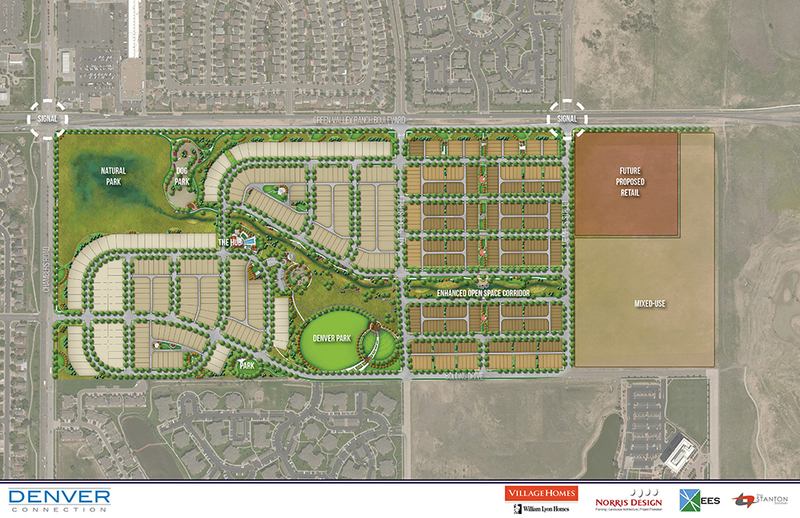 Residents will enjoy an active lifestyle with 40 acres of parks and amenities, including a 10-acre city park, dog park/wash and a “community hub” for entertainment and socializing. New retail amenities are already located on the east side of Denver Connection. 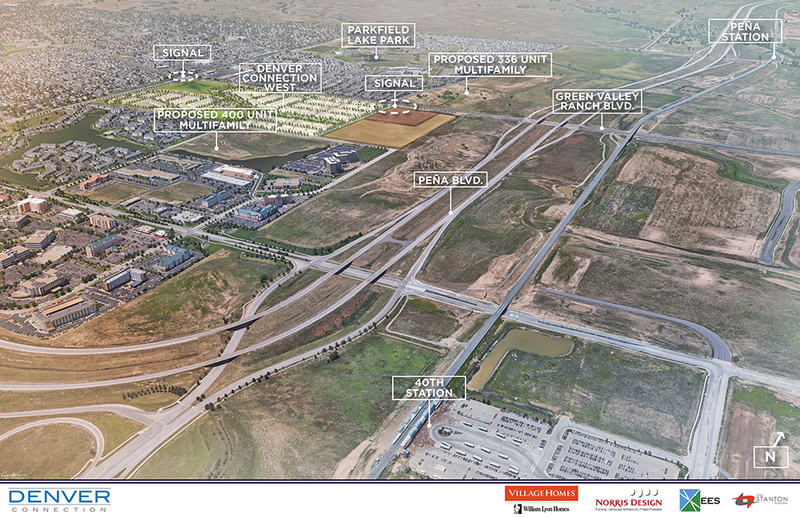 Large employers such as Panasonic, Kärcher and the Anschutz Medical Campus are a short drive away. Light rail trips to DIA and Downtown from the 40th Avenue and Peña Boulevard station are less than 20 minutes. Single family homes are expected to range from 1,245 to 2,400 square feet, and single family attached homes from 1,244 to 1,836 square feet, with both traditional and contemporary architectural designs. Pricing has not been finalized yet but will be attainable to a wide variety of prospective homebuyers. The project will also complete a larger and long-awaited regional connection—the expansion of Green Valley Ranch Boulevard from two to four lanes between Chambers Road and Peña Boulevard.